Noel Fehily returns after riding in The Albert Bartlett Novices Hurdle Race run during Gold Cup Day of the 2019 Cheltenham Festival at Cheltenham Racecourse. Julian Herbert/PA Wire. 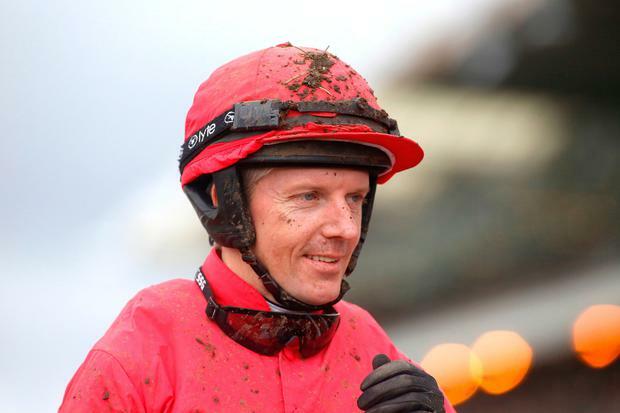 Fehily - who announced his intention to retire from the saddle when winning at the Cheltenham Festival last week - has been one of the most popular members of the weighing room for the past two decades. Get In The Queue's trainer Harry Fry admitted he was feeling the pressure to send Fehily out on a winner - and despite being sent off the 1-3 favourite there briefly looked to be dangers on either side. Fehily's mount was carrying a double penalty, having already won twice, and ultimately his stamina kicked in once inside the final quarter of a mile, giving Fry a third successive win in the valuable race. Sorcha O'Connor Punters to Fairyhouse have been blessed with another day of sun as thousands turn out for the Irish Grand National today. Thomas Kelly Voix Du Reve proved the star of the opening day Fairyhouse show as he provided Willie Mullins with back-to-back wins in the Ryanair Gold Cup Novice Chase at Fairyhouse. Patrick Mullins I don't like the Irish National.